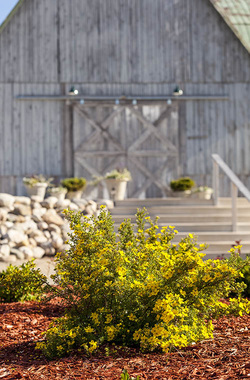 History meets romance, rustic charm, and modern amenities in Shanahan’s Barn at Charlevoix Golf and Fitness. 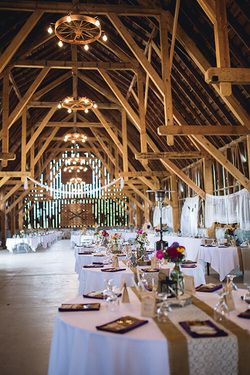 This century old barn underwent a complete revitalization beginning in 2013 and has quickly become one of the most sought after event venues in Northern Michigan. 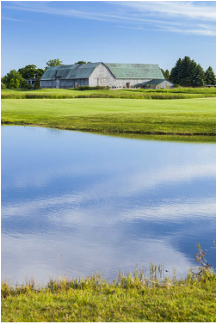 Named in tribute to the Shanahan family who farmed this land for many years, this one of a kind event destination is nestled on what is now the 16th hole of our Championship Golf Course. Soaring ceilings vaulted by custom cathedral trusses each adorned with wagon wheel chandeliers are unique to Shanahan’s. Dual Grand staircases lead you to a spacious loft that can be utilized for ceremonies, dance floor, auction, or smaller parties. Fabulous built-in restrooms each featuring a lounge are our latest amenity. 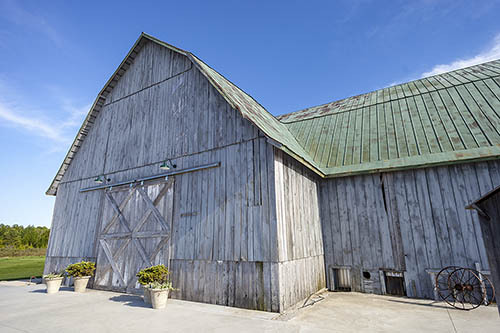 Shanahan’s Barn has limitless potential for your imagination to create a day that your guests will be talking about for years to come. Corporate events and much much more! For more information, please call our Venue Coordinator Michelle Grunch at (231) 675-3342. 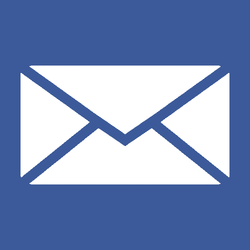 Inquire about special pricing for Friday/Sunday weddings​. I know it sounds silly, but I almost feel like this barn chose me. I started at the club in 2013 as Membership Director which was the same summer Shanahan’s Barn was being brought back to life. I also got engaged myself just as I started booking the first ever weddings at the barn. Through planning my own wedding I quickly became attuned to the type of support a bride needs when planning a wedding and I strive to go above and beyond for each and every couple! Fast forward to now, we are rolling into our 5th season hosting events at the barn and we are so honored to create lasting memories! "Shanahan's Barn was BEAUTIFUL for our ceremony. 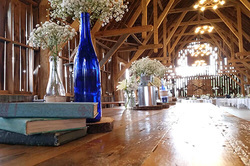 Everything was truly awesome and I would recommend Michelle, the coordinator, and this barn to anyone who wants a unique, beautiful, elegant wedding." "Shanahan's Barn is a huge, gorgeous, newly renovated space. It can easily hold 500 people. The clubhouse is also very beautiful if you want something more traditional."